Greg Snyder, Managing Director of Business Development, heads the firm's interaction with financial institutions, professional organizations and major land owners with housing and land portfolios they seek to divest. Greg has over 30 years of experience in residential housing and commercial land development. Mr. Snyder managed the homebuilding and land development operations in New Jersey, Eastern Pennsylvania and Southern New York of a major national homebuilder. The division Greg headed delivered over 4,800 homes in the active adult, luxury and move up segments earning Community Of the Year Awards from the New Jersey Builders Association and recognition from the National Association of Home Builders for quality construction and customer service. Mr. Snyder also managed the company's initiative into transit village and urban multi-family development. 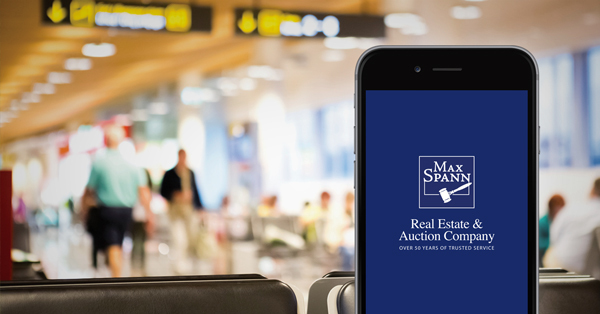 Lawrence Samberg is a Managing Director for the Max Spann Real Estate and Auction Company and heads up the company's New York & Florida corporate offices. Mr. Samberg's responsibilities include expanding the company's client database while developing and implementing creative auction marketing strategies on a national basis. In his 25 years experience in the real estate auction industry, he has represented national corporations, asset fund managers, developers and financial institutions to portfolio managers, real estate firms, partnerships, major retailers and individual sellers. During his career, Mr. Samberg has successfully managed the disposition of residential, industrial, and commercial properties including luxury residences, historic buildings, apartments and office buildings, condominiums, condominium developments, subdivisions, golf courses, bed-and-breakfasts, co-ops, development sites, retail properties, warehouses, restaurants, nightclubs and marinas. A recognized expert in analyzing, planning, and implementing auction-marketing strategies, to best maximize net value for sellers. His continued success in the discipline comes from his ability to identify the full potential of every property that is sold via the accelerated marketing method, which implements a spectrum of executive, operational, promotional, and managerial skills. Mr. Samberg has authored numerous articles regarding the subject of real estate auctions. He is a recognized authority on the subject, and his frequent lecture "he Benefit and Opportunities Available through Successful Accelerated Marketing" has been presented to a variety of professional organizations. Mr. Samberg received his Bachelor's Degree in Business Administration, majoring in Marketing & Psychology, from the University of Cincinnati and holds numerous real estate licenses throughout the United States.